Observing a person in need usually provokes a compound and dynamic emotional experience made up of empathy and personal distress which, in turn, may influence helping behavior. 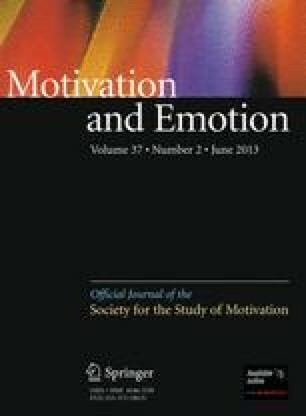 As the exclusive use of rating scales to measure these two emotions does not permit the analysis of their concurrent evolution, we added the analogical emotional scale (AES) in order to measure how these two emotions evolve throughout the emotional experience, from its onset to its conclusion. Therefore, in two studies, the concurrence of empathy and personal distress was induced, both rating scales and AES were used, and participants were given an unexpected opportunity to help. Two effects were found. First, the helping behavior was lower when personal distress prevailed over empathy at the end of the experience (Studies 1 and 2). Second, this “end” effect was coherent with the nature of the different motives evoked by personal distress and empathy—directed to increasing either one’s own welfare (egoistic) or the victim’s welfare (altruism) (Study 2). These results support the usefulness of combining the rating scales and the AES for gaining a better understanding of the nature and behavioral consequences of complex, compound and dynamic emotional experiences. Pilar Carrera and Luis Oceja contributed in equal part to this article. The research was financed by two grants from the Spanish Ministry of Science and Innovation (MICINN) PSI2008-04849/PSIC and PSI2011-28720. We wish to thank David Weston and William Clifton for their help in the preparation of the English version, and to Victor García Carrera (as “Pedro”) for his help in making the tape recording. We are also grateful to anonymous reviewers for their comments on a previous draft.